The original idea was to do this project on the window screen (you know, the mesh that keeps insects out...) as decoration, but seeing as I live in an apartment, it's unfortunately not a possible idea. Instead, I used a splatter screen's wire mesh (from a dollar store). The Pokemon theme originated from the timing of my inspiration: this idea had been sitting in my sketchbook since around February this year, around the hype of Pokemon's 20th anniversary. Now with Pokemon Go fever, I decided to review the idea. Once I finished the Pokemon set, I moved onto my next favorite fandom: Harry Potter (hence the Hogwarts crest). That actually turned out... not as nicely as expected due to some of the color diffusing into regions that it wasn't supposed to. The third picture above of the crest is the last one I took before things unfortunately went downhill, leading to the fourth picture above of the completely colored in crest (see step 9 for more info...). Laser cutting for the Game Boy frame was done at UMakers at Claremont/Upland, CA. It was an extra touch since I wanted the orange Charmander between the other blue-green starters. Before beginning, have a design on hand. Come up with your own design, or find some online. To find patterns online, search Google for "perler bead patterns" or "cross-stitch patterns" or "pixelated images." Be creative! While you might have a main image or design, perhaps consider adding a decorative border around it to focus attention on it, or to make it more unique. Check out websites like this one to use a source image as inspiration for your final pattern. Next, to make the pattern easier to follow, add horizontal and vertical lines spaced out ten squares from each other. First draw a vertical line down the middle of the pattern, and a horizontal line though the middle of the pattern. Then add more vertical and horizontal lines spaced out ten squares above/below the horizontal line and left/right of the vertical line until you have a grid of 10x10 square blocks. I eventually abandoned the grid technique because drawing the corresponding grid on my mesh left black marks that I couldn't get off. However, this is a great beginning technique for getting used to thinking in pixels. Once you "level up", you can just start in the middle of your picture (or with your darkest colors) before moving outwards or using lighter colors. Or if you're doing a big project (the Hogwarts crest) I suggest that you don't bother with a grid, lest you get hopelessly confused with all the marks. For mixing and applying paint, I used a q-tip cut at an angle for mixing food coloring and glue. Then I cut off about 1.5 inch of 20 gauge wire and bent it into an L shape to get my applicator "brush". Toothpicks would likely work just as well. As my mixing surface, I cut off a square of the plastic film from the splatter screen's protective sleeve (reusing is great, my friends) and taped it over a sheet of white paper that I affixed to a piece of cardboard. This gave me a nice, stiff hydrophobic surface that the paint wouldn't soak into, with a white background for color visibility. The "paint" I used is not really a paint, but it's a liquid with enough viscosity for surface tension to stretch it flat across a pixel of the mesh, while being transparent enough to allow light through. Regular acrylic paint would likely be too thick and opaque for this job, but if you water it down with water or glue it would probably work. I don't have an acrylic paint though, so I made a solution that worked well with what I had: I mixed food coloring with school glue to get the different colors. To make colored paints, simply mix your food coloring into the glue -- all colors can be made from red, blue, and yellow (this doesn't mean that it's easy though). For food coloring + school glue combinations, using yellow is generally a bad idea, as I soon found out -- it's light enough that it can change color easily by diffusion from nearby pigments, or even with the rusting of your wire mesh (bummer for my pokemon logo, as you see above). When making paint, I suggest making your darker colors first and applying all that you need before diluting it with the addition of school glue (see first picture above, or more explanations on next step). I started with and used my dark colors before adding more glue next to the blob and slowly mixing in the darker color into the fresh blob until I hit the target shades.This way you can more easily control your shades, as controlling fractions of food coloring drops is harder than adding varying amounts of glue. Application is done with the homemade wire toothpick; dip the tip into your glue before painting a few pixels at a time (if you have globs of glue on the end of the wire, you'll have dark, uneven globs on your pixels). Start with mixing your darker colors first. This helps partially because most outlines are dark colors, and thus you'll have easier time filling in completed outlines as opposed to drawing the figure before outlining. Using darker colors first is helpful also because they tend to bleed into the lighter colors a lot more if you're applying them after the light colors (see pokemon logo above). To avoid that bleeding, I suggest painting all the dark outlines, waiting at least overnight for complete drying, before going in with your lighter color. If the dark color is not for a huge outline but instead it's for a small section of your pixel pattern, make more paint than you'll need and finish all squares with that color before adding glue to lighten the color to another shade that you'll use later on. Fill in all the squares with that color before again adding more glue to dilute, and so on until you're finished with that color. BE SURE THAT YOUR COLORS DRY COMPLETELY BEFORE USING A DIFFERENT COLOR (different shades of the same color should be fine in general, but applying [for example] a yellow next to a red before it's dried is a no-no). Save glue by being strategic with mixed colors like turquoise or orange. For example, for orange, mix yellow food coloring with glue to make whatever yellow shade you might need, before adding red to get the orange that you need. I say use yellow first before adding to it because it's easy to darken your lighter shades, but it'll take a lot more yellow and glue to turn a ruby red into orange. To protect your work surface, I suggest placing a sacrificial piece of paper behind the screen, in case the screen touches down or if your glue drips. Try propping one edge of the screen too, so that the screen is slightly angled up from your work surface and thus less likely to smear against it. Don't tilt the screen too much though, especially when drying! Your glue will form little droplets that dry into darker blobs in your artwork if you do. If you make a mistake, start panicking because removing paint is really difficult! Not to worry you, but that is actually true (not really the panicking part -- stressing out would probably worsen that situation) so do your best and work as slowly as you need to avoid mistakes. Should you make a mistake, try to dab at it with a cotton swab or poke your wire through that square of the mesh to poke out the paint's surface tension. If you've completely messed up a region, likely you'll have to use a wet rag to fully remove every trace, and thus your progress will be destroyed. I don't exactly have step-by-step pictures of me making the Pokemon set, but here are some progress shots that I took. I began the Hogwarts crest charmingly optimistic but ended up woefully disappointed... OK morbidity aside, it was an interesting process. As I mentioned, dark colors go first: I started with the inside outline of the H, followed by making the border of the crest. Since it has curves that aren't very pixel-friendly, I roughly drew out a curve before quickly painting in a jagged outline of that curve (see second and third pictures above). See the fourth picture for the v pattern I used to make nice diagonals. When working with symmetry, make the side that's closer to your dominant hand (for me, that's the right side since I'm right handed). Then to do the other side, rotate your entire piece by 180 degrees and copy the side you just finished, just upside down now. Next is to fill in the four sectors with the mascots. I freehanded each one, but you can also search up patterns online from cross stitch or perler bead enthusiasts. Again, gently sketch out a basic outline before filling that in with your actual outline. This way you have a sense of positioning each part of the animal so that all of it can fit in the quadrant. The words were the hardest part, since I left such a small area (height and length-wise) for relatively large words. To ensure that the entire word fits without being squished or stretched toward the end to fill in a banner, I suggest starting from the middle of the word, so it'll be centered when you're done, and then working outward. Coloring was all right at first: I proud at how my green, blue, and red popped for each of the Slytherin, Ravenclaw, and Gryffindor sections, respectively. I later realized that for patterns with many different colors (not just shades of colors, as I did in the Pokemon set, but different colors like red as opposed to green) will end up having the colors diffusing into each other. Red food coloring turned out to be a nightmare when mixed into light colors (darker combos like blue + red were fine); in fact, it turned my grey for Slytherin into a purple (see images above). And you thought that was bad? See the next step. Red generally overpowered the yellows that I mixed it into, turning my golden yellows into oranges (see my Hufflepuff "yellow" for example: golden rod turned into poppy). Lighter colors also blended in with my darker colors, courtesy of large-scale diffusion, so the letters on the bottom banner than I worked painstakingly to perfect became unrecognizable blobs (as you can tell, I'm quite bummed at that). I also used plain white school glue on my Ravenclaw mascot since I didn't trust how my brown turned out (not having an orange bird, thank you very little), but that ended up blending a bit with my black outline and becoming blurry (see third to fourth pictures above). AANNNDD thus I ended up with my final Hogwarts crest as seen in the fifth picture above. A downgrade from my Pokemon set, I'm sad to admit [since there's some blobs and diffusion action going on throughout]. Nevertheless, there's lots to learn from this project as described in the previous steps; hopefully you can learn from my mistakes and understand what to avoid. I'm a bit of a neurotic, so the charmander's position on the left bothered me since it's the only red/orange one whereas the other two are blue/green combos. I decided to rearrange them so that the charmander would be in the middle, and to do so I'd use a frame. The frame design I ended up with was inspired by the Game Boy Advance, from back when my brother and I were first introduced to Pokemon. I laser cut the design (rastered buttons and logo, cut out for shape) at UMakers in Claremont/Upland, CA on birch plywood (1/8in thick). That was stained with a dark walnut to get a nice dark color to reveal the nice texture of the wood. For the back piece, I used a CNC router (ShopBot, also courtesy of UMakers) to make a pocket cut for the wire mesh to sit in before doing a profile cut for the rim of the Game Boy. Maybe you could have the mesh on a piece of glass then put liquid glass stain in the pixels and fire the whole thing up before removing the mesh ? Wasn't quite sure what to call it so went to stained glass for the effect, but indeed not really glass. That's a great idea for the liquid glass stain idea, but wouldn't the mesh get stuck once the glass reflows? Wow, much work, but a wonderful effect! Thank you! Much work indeed, but well worth the effort. Great question: check out step 2. I mention that either perler bead or cross stitch patterns are great ways to find inspiration. 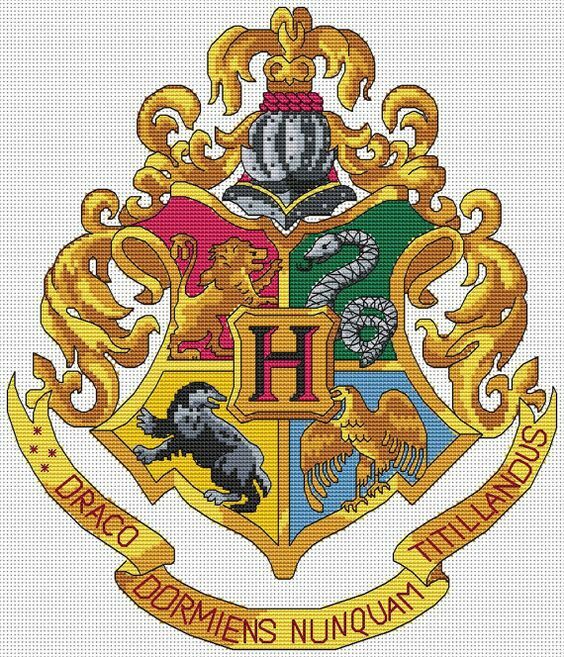 In fact, the Hogwarts one was from a cross stitch pattern.